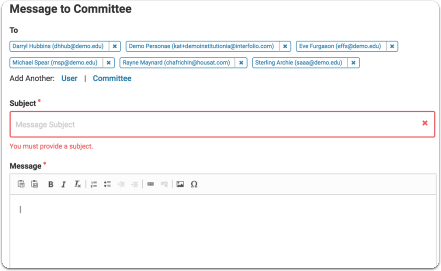 Administrators and Committee Managers can share packet materials and other documents with members of any committee involved the workflow of a case, and with individual Interfolio Review, Promotion, & Tenure users at an institution. 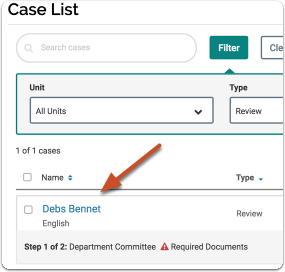 Sharing case materials and documents is useful, for instance, for sending committee recommendations to members of a committee assigned to previous steps in the workflow (rather than sending the case back or emailing outside of the system). 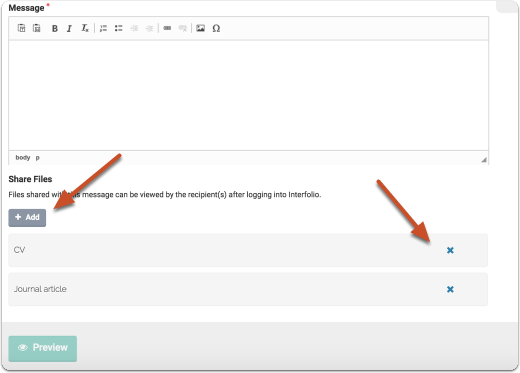 Admins and Committee Managers can send a message, with documents attached, to committees and Review, Promotion, & Tenure users, and can request that the recipient upload a file in response. 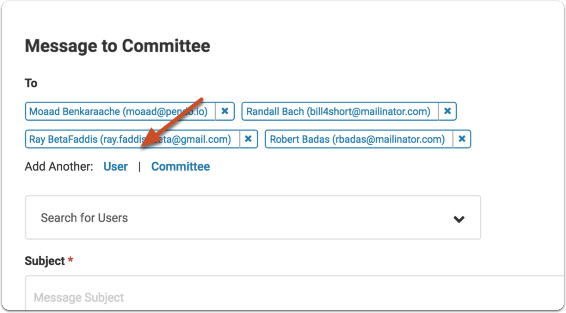 When files are shared with a Committee Member or individual, the recipient will be notified by email and prompted to log in to their Interfolio account to view the shared files. Only Administrators and Committee Managers of the current case can share files. It is difficult to accidentally share files. As with all activity in the system, the case Activity Log will record and document when files are shared. During the implementation process, Client Success Managers will work with institutions to ensure that faculty and staff receive comprehensive training on Review, Promotion, & Tenure and that institutional policies are well documented and understood. Selecting materials will open the blue action bar. You can send the message and attached files to RPT users, and also to committees or individuals in the workflow. 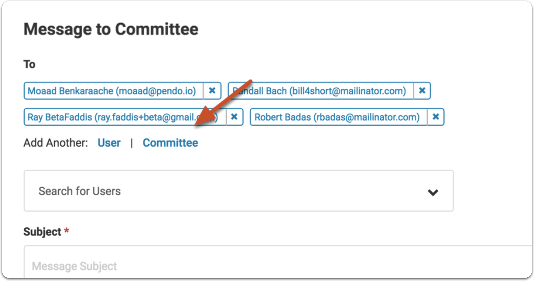 You can specify multiple committees and individuals as recipients. Click "Add" to add more files, or the "x" to remove shared files. No files will be directly attached to the email. 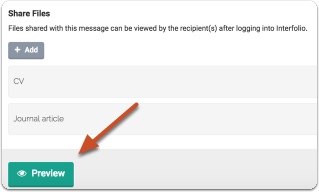 Recipients will receive email notification that files have been shared, and will need to login to their account to view the shared files. 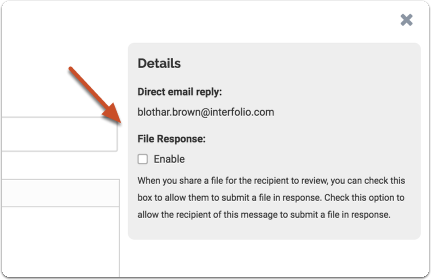 Check this box to allow recipients to submit a file in response to the message and attached files. 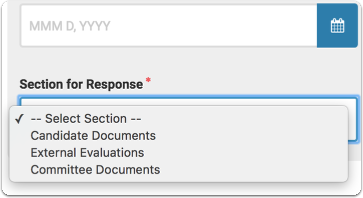 When the response comes in, the file will appear in the section you indicate. 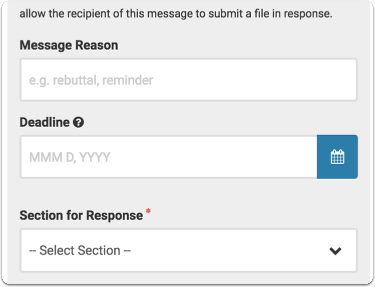 Responses to files shared with a committee member can only be set to post to internal sections.